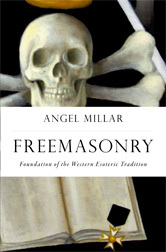 Millar’s first book is a nice, but nothing really new, history of Freemasonry, mostly in America. His other two books are also about Freemasonry, but about aspects written about less. Freemasonry and its influence in the Middle East in The Crescent and the Compass and Freemasonry and it relation to esoteric and occult societies in the current title. Now of course there have been many spectacular books written about occultism and Freemasonry, but Millar’s book is more serious and leaves aside all the conspiracy theories and speculations. It certainly makes a nice read. Millar writes about the foundation and development of some of the High Grades, semi- and para-Masonic organisations and of course how things such as Alchemy and Kabbalah krept into Masonic symbolism in its developing days. Millar is a Freemason himself, but he does not make value judgements on irregular branches of the Masonic family and treats them like their regular brother-organisations. 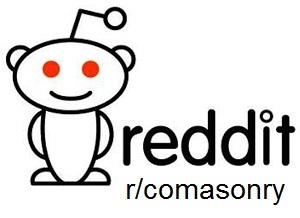 The same with groups and people about whom a lot of nonsense has been written such as William Wynn Westcott and Samuel MacGregor Mathers and their Golden Dawn, Aleister Crowley and the Ordo Templi Orientes and Gerard Gardner and the Wicca movement. The book is hardly 170 pages (plus bibliography and index) and this includes two appendices with etchings (on unnumbered pages) of Hejonagogerus Nugir with explanations and some images referred to in the book. The chapters are about subjects such as Alchemy, Cabala and Magic, Roman Catholic Mysticism, Rosicrucians (like the Gold- und Rosenkreuzer and SRIA), Golden Dawn, O.T.O., Wicca and a short chapter about Freemasonry and Northern European paganism. Millar managed to get some structure in the mess of early Masonic, semi- and para-Masonic organisations, Rites, grades and people who were involved in several of those. His unbiased writing style makes this a highly recommended book for people who are interested in the named organisations and in this lively time of early Freemasonry. Several of the subjects could use some more depth, so hopefully the author has not finished his investigations of those yet.